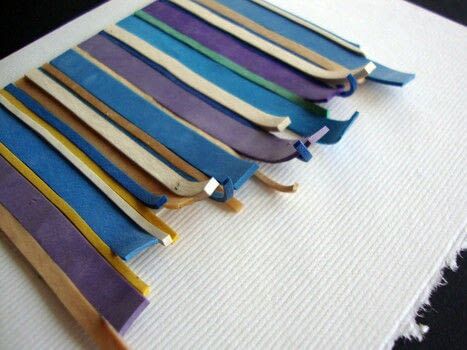 They are super easy to make and were really satisfying because the results are so cool. All of the rubber bands I used are recycled...mostly from produce and flowers I get at the market. Everything else was left over from previous projects. I've been very focused on my "stash busting" this month, since I decided to take the Stash Bust challenge and not buy any new supplies in April. 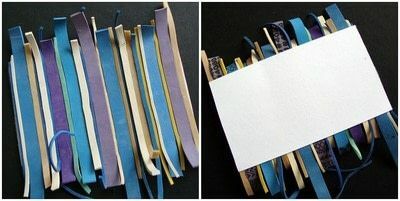 Apply a piece of peel n' stick adhesive or several strips of double stick tape to your card stock, covering it completely. Peel off backing to expose adhesive, creating a sticky surface for your rubber bands. 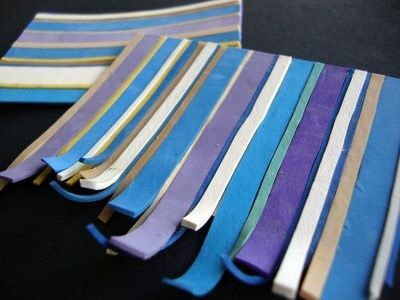 Cut your rubber bands open to make long strips. 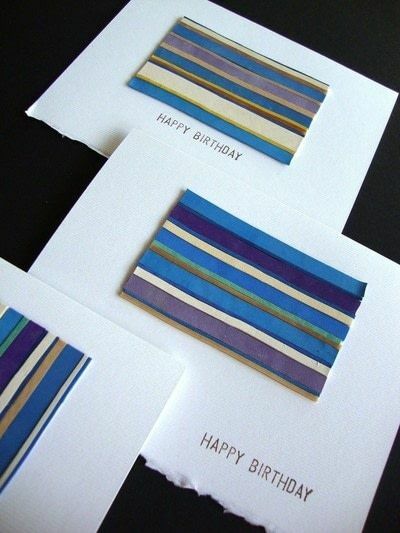 Place one at a time on your adhesive, alternating colors and sizes to make a striped pattern. (I started somewhere in the middle and worked my way out to the edges.) Press down firmly, but avoid pulling on the rubber bands as you place them so they don't stretch and then try to shrink down later. Trim uneven edges to your desired length. 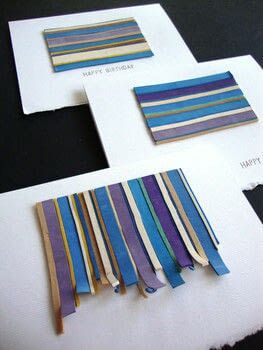 Apply more double stick tape to the back of your finished rubber band piece and then apply it to a card. Add a stamped or hand-written sentiment if you wish. That's it! Hope you enjoy and have fun making some cards of your own! 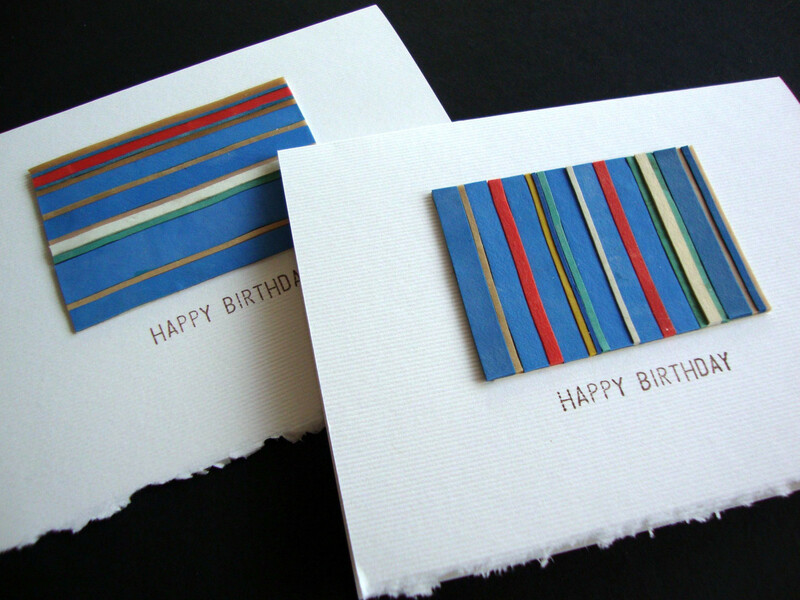 And feel free to share links to photos of any cards that you make! I'd love to see what else can be done with this idea.